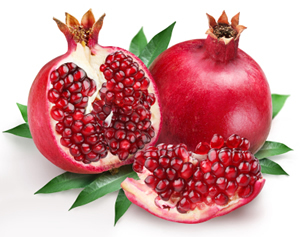 With all the healthy benefits of pomegranates, it is no wonder that health food marketers have gotten in trouble with the FDA for making some rather extravagant claims about the benefits of pomegranate products. 5 In addition to being very pricey, these products also contain added sugar, and other "natural flavors", and so are not pure, 100% pomegranate juice. Still, with all the FDA needs to be concerning themselves with, you would think the consumption of a healthy fruit drink would be at the bottom of the list of things to protect the public from. There seems to be no downside other than cost in adding pomegranate juice to your daily diet. Preparation Methods & Dosage :You can juice pomegranate seeds (use only the seeds, not the whole fruit), if you live in an area where they are abundant like the California coast. 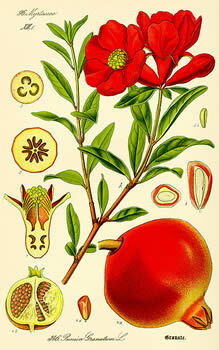 Pomegranate seed oil is also available as a cosmetic and medicinal oil. 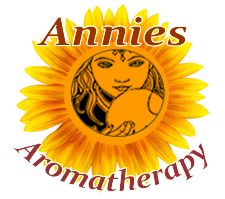 Pomegranate oil can be used alone, but I like to stretch this rather pricey oil by combining it with other skin care oils like almond oil. In the Kitchen: Pomegranate seeds can be juiced, or eaten fresh. The pips also make a colorful garnish. Pomegranate seed are also made into a cordial, grenadine, which is used for cocktails, and a flavoring for sorbets and desserts. Seeds are boiled to make a pomegranate syrup, popular in Iran and the Middle East. Pomegranate Side Effects: Pomegranate root bark is used to treat intestinal parasites, and is very effective against tapeworm. The alkaloids in the bark, known as pelletierines, paralyze the tapeworms, loosing their grip on the intestinal wall so are easily expelled. Pomegranate bark extracts are subject to legal restrictions, and are very toxic. Do not use these extracts for self-treatment. Etymology: From the Latin Latin pomum - apple, and granatus -seeded. Flowers/Fruit/Seeds:Round, red fruits, with a bitter pith with contains apx 600 seeds that are surrounded by juicy pips -the aril � ranging in color from white to deep red or purple. Pomegranate trees grow best in the southern states and west coast (zones 7-10) where there is a long growing season and plenty of sun. Drought resistant and fast growing trees are self pollinating so a single tree can bear fruit. Can be grown in a container and brought in for the winter in the north.